The Fairy Door is Released! I can’t believe it is finally here! I am thrilled to be able to talk about my newest book. I never intended to write this story. I had another series in mind, but then something magical happened. I stumbled across an article about Fairy Doors and all of a sudden the beginnings of a story began swirling inside my brain. I originally thought of doing a quick two book series, but the more I wrote, the more I realized that there were a few characters whose lives were even more entwined in The Fairy Door and that’s how The Hidden Realm Series was born. I’m a bit nervous to write a six book series. I know that the format is a slightly unusual, but I’m confident that they will all tie together in the end. I revealed the covers a week ago and now I will tell you a little more information. I am so pumped for this series. Like I said, it was not the direction I thought I was going in, but I couldn’t ignore this story or these characters. I hope that you love them as much as I do and I wish you all happy reading! A mysterious door and an enchanting hidden world! Liliana Brennan is a smart librarian who is set to get married and settle into a stable, normal life. Her entire existence is turned upside down when she is left at the altar and her best friend Gracie goes missing on a business trip. A desperate search for Gracie unearths a doorway into another world and stunning revelations shock Liliana as she tries to acclimate herself to a new life. Can she accept her fate and embrace love behind the fairy door? 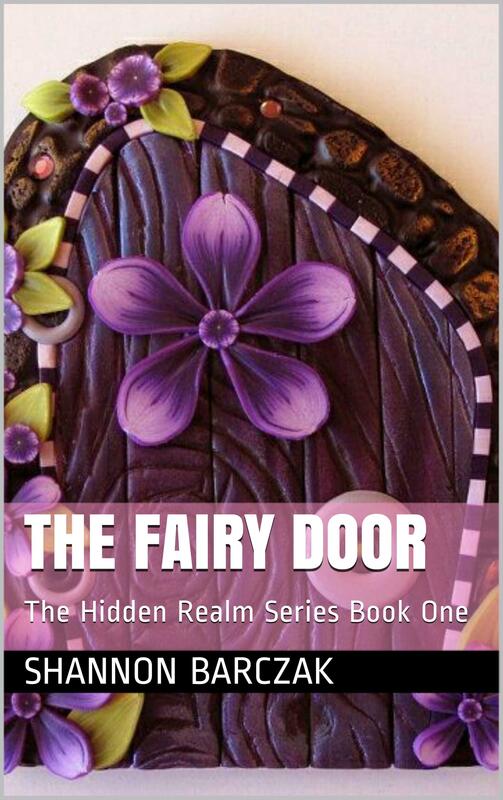 The Fairy Door is book one in The Hidden Realm Series by bestselling author Shannon Barczak. So grab your copy of The Fairy Door and join me on this incredible trip into a magical new realm! Previous PostIsle of Night FREE! 7/3-7/7/2015Next PostSXSW Monthly Collaboration: Juggling Writing and Editing at the same time.